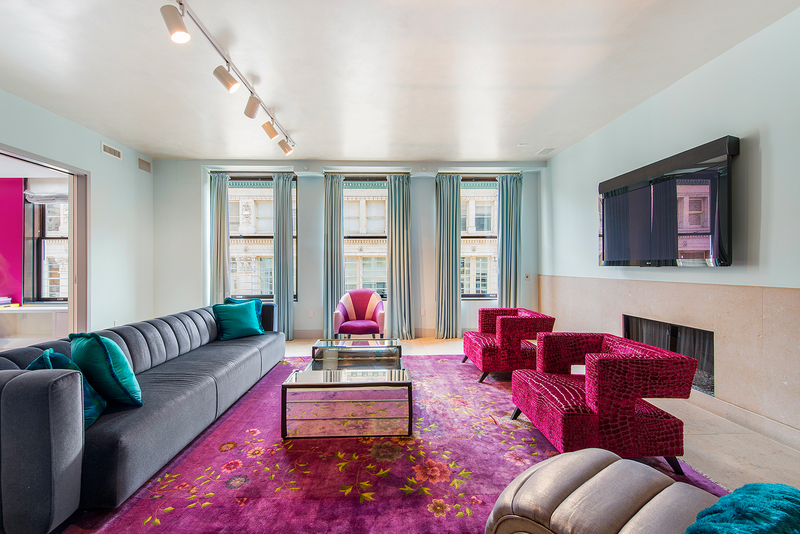 Experience the exquisite design by Rafael de Cardenas, one of Architectural Digest's Top 100, in this open 3-bedroom, 3-bath loft. From custom painted ceilings to custom built-ins including bookcases, cabinets and pocket doors in the study/3rd bedroom, this unit exudes sophistication and style. The chef's kitchen is outfitted with Sub-Zero and Miele appliances, featuring a built-in cappuccino maker and a double-zone wine cooler. Other details include limestone floors, hardwood floors, five massive mahogany-encased windows and a Rosewood Kitchen by Valcucine of Italy. 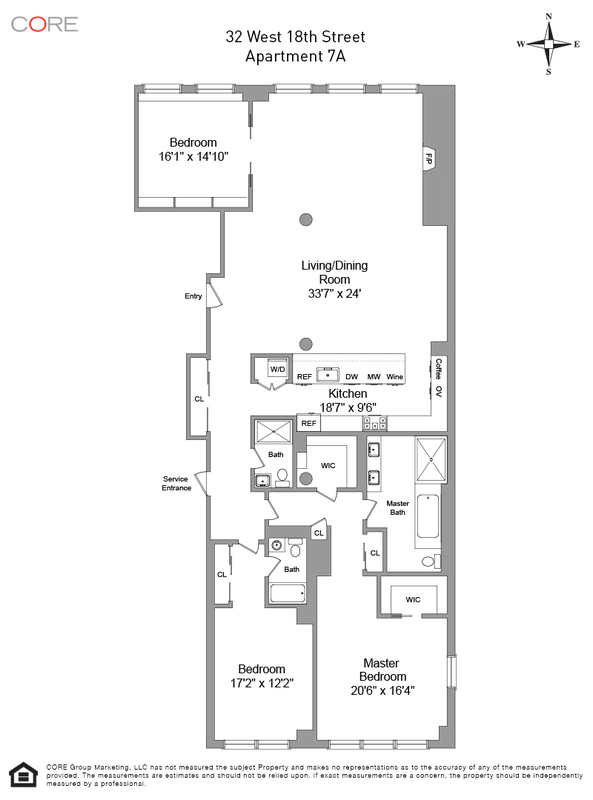 The apartment includes dual walk-in closets in the master bedroom, custom closet interiors throughout as well as a washer/dryer closet and broom closet. Lastly, the unit boasts a customized gas fireplace, a custom graphic mural in the dining area by mural artist, James Conran, track lighting in the living and dining rooms and a sound system with speakers throughout apartment.